There’s something rather touching about graffiti in the provinces, such as the two sad examples here which I snapped in Bonlanden. 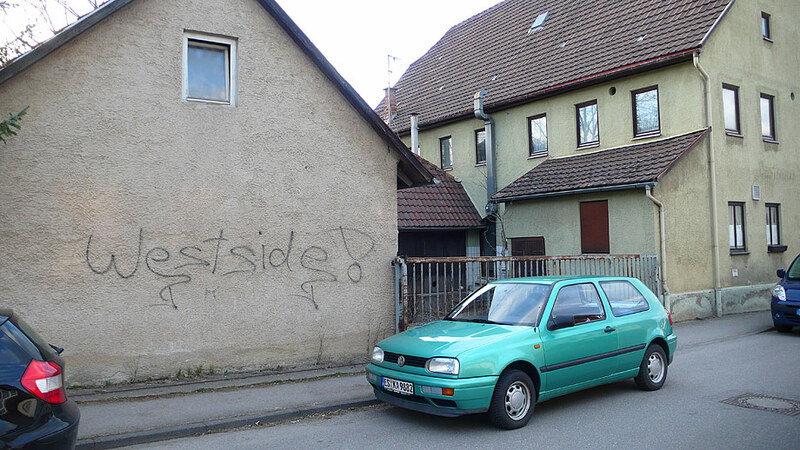 As a product of American inner cities, graffiti is probably still sufficiently alien to shock the older inhabitants of a small village. But as a city dweller, able to read the cultural signs, it is reduced to pathetic pre-pubescent posturing. You just want to take that young sprayer under your wing, and fix them up with some propper tuition on the mean streets of downtown Stuttgart. The appropriation of “Westside” as a motif is so ironic in the context of Bonlanden. At little over 900 meters wide, the village doesn’t exactly offer much territory for the budding warlord to fight over. 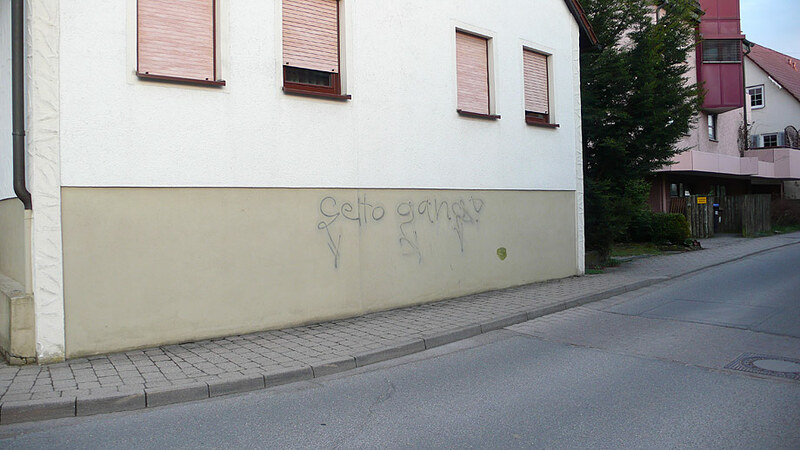 Judging by the droopy arrows, the unfortunately spelt “Getto Gang” seems to be the work of the same author. But villages can be pretty sinister places – German ones especially so – which sometimes feel as alien to me as, say, Brooklyn might to a resident of this community. I have to wonder what’s going on behind all those beady-eyed windows with their net curtain veils and shutters. Maybe some multi-generational turf war really is being faught at municipal level between the families of local politicians, and the graffiti is just the tip of the iceberg; its juvenile mode of expression refracted through the lens of hip-hop culture.